iPhone 5 VS Galaxy S3, Will They Blend? 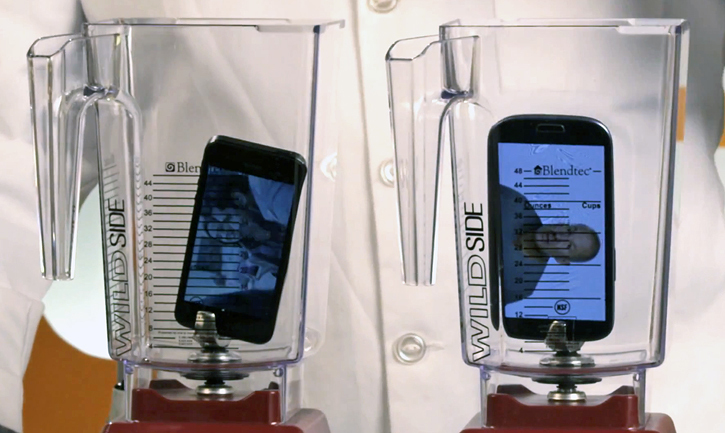 Ever wondered what will blend faster, the iPhone 5 or the Galaxy S3? This time the plastic construction of the Galaxy S3 looks to beat the metal unibody construction of the iPhone 5 by only a few seconds until it comes to a pile of black dust in this brutal blender experiment. Or in what is really a commercial for a very powerful and expensive Blendtec blender, the same one that blends your delicious Frappuccinos at Starbucks. We learned nothing, but if you love seeing the destruction of gadgets this is for you.